If you try and import in exported multiple selection fields. They will not map correctly. The import will look as though it was successful, but the multiple selection fields will be blank when you open the actual record. 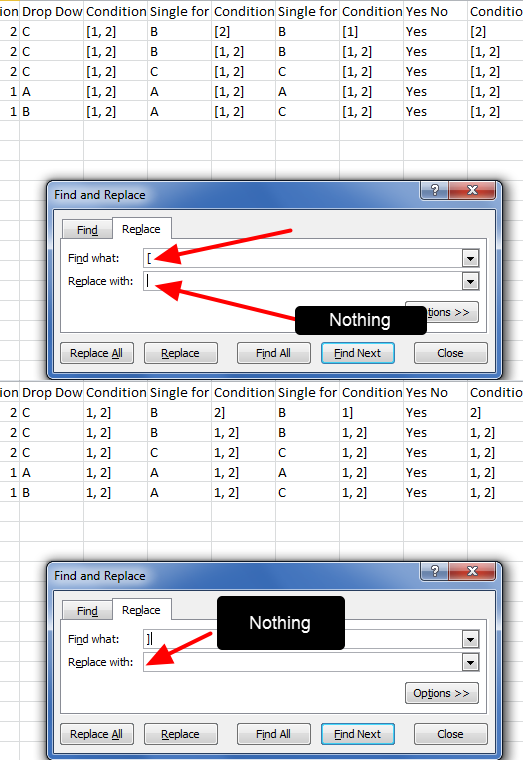 Please see below for how to reformat these for reimporting. 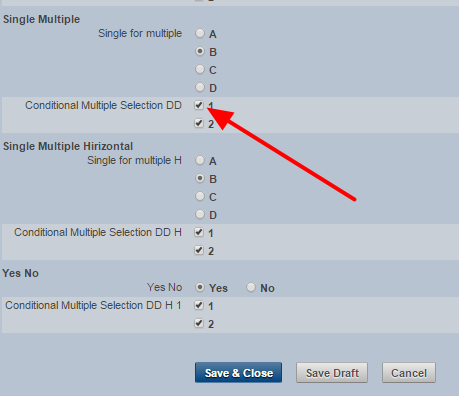 You cannot import in Multiple selection fields without reformatting the file. 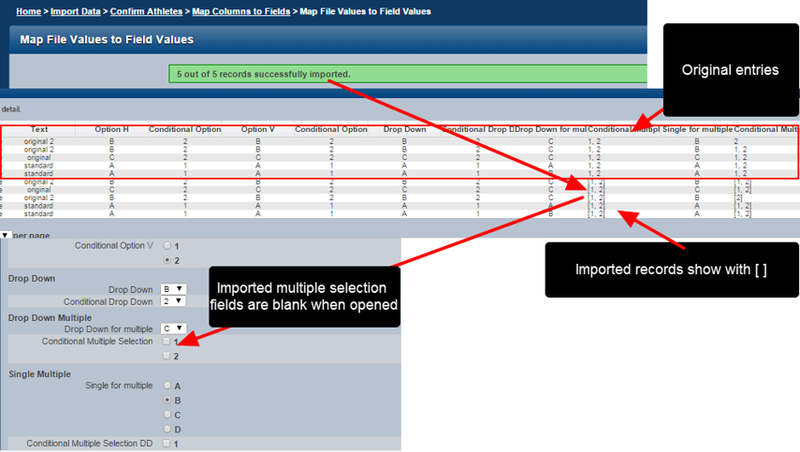 Zoom: You cannot import in Multiple selection fields without reformatting the file. 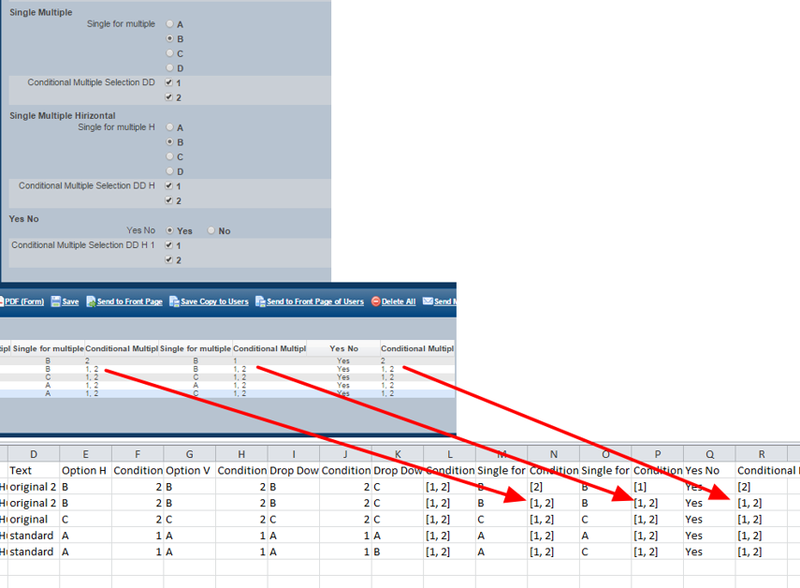 If this data format ([ ] and , ) is imported back into the system the do NOT import correctly; the records show on the reports page with a [ ] around them and the options are not selected when the entry is opened. Zoom: If this data format ([ ] and , ) is imported back into the system the do NOT import correctly; the records show on the reports page with a [ ] around them and the options are not selected when the entry is opened. The field are blank because the system cannot interpret these formats correctly. Select the fields you want and change the comma to a bar "|"